I’ve been neglecting follow Friday posts. I’ve also been thinking a lot lately about how most of what I blog about is tearing things apart. Granted, they all deserve our derision… That being said, after ranting a few times about how there’s so much in-fighting in dietetics I thought that maybe in an effort to counterbalance some of that, that I would start devoting my Follow Friday posts to promoting blogs, websites, and initiatives of my fellow RDs. Since The Rooted Project held their first public event this past week I thought they’d be a great project to start this new positive series off. 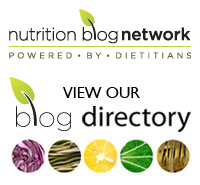 The Rooted Project is the brainchild of British dietitians Rosie Saunt and Helen West. Both of whom I’ve mentioned on my blog before. Their aim is to bring evidence-based nutrition to the masses through public panels and events. If you’re in London I recommend keeping an eye on what they have in the works. If you’re not, like me, I recommend following them on twitter. Tags: British, dietitians, evidence-based, follow friday, Helen West, London, RDs, Rosie Saunt, science, the rooted project, UK | Permalink.